(Enid, OK) May 23, 2017 – Encore Restaurants, LLC, a subsidiary of the Dallas-based Encore Enterprises, Inc., is excited to announce the opening of its newest Five Guys Burgers and Fries restaurant today. 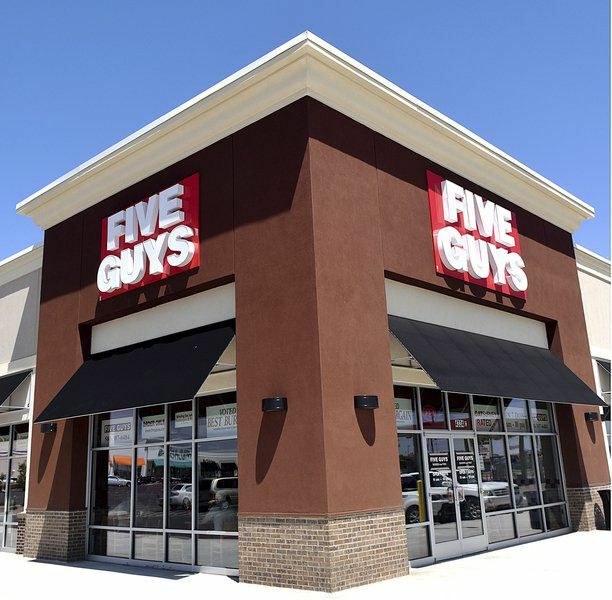 The restaurant is located at 4334 E Owen Garriott in Enid, OK, and is the thirty-fifth Five Guys restaurant to be owned and managed by Encore Restaurants, LLC in a continued brand expansion. Open every day from 11 a.m. to 10 p.m. Five Guys serves award-winning burgers, hot dogs, and fries that are fresh, never frozen, and customizable for any taste with over 250,000 burger options to be ordered. In 2012, Forbes Magazine named Five Guys the fastest-growing restaurant chain in the U.S. Five Guys has been ZAGAT survey rated every year since 2001 and has been named one of the top Readers’ choices for fast-casual restaurants in 2014 by Consumer Reports. About Encore Enterprises, Inc. – Encore Enterprises, Inc. is a privately owned national real estate company founded in 1999 with corporate headquarters in Dallas, Texas. Encore develops, acquires, and manages hotels, multi-family communities, retail shopping centers, commercial offices, and public-private mixed use developments. About Encore Restaurants, LLC – Encore Restaurants, LLC. develops, owns and manages specific territories of various Full Dining, Fast Casual, and Quick Serve concepts across the United States. For information regarding future development locations, contact Stacey Barber at 228-547-0293.